Chris Barnett CPA has joined the firm as a senior accountant in the firm’s Audit and Accounting Services Section. Franziska Wagner has joined the firm as a staff accountant in the firm’s Audit and Accounting Services Section. Ericha Chaney has joined the firm as a staff accountant in the firm’s Tax Services Section. Maysa Alassal, Audrey Cazenave, Quen Smith and Danielle Thomas have joined the firm as Client Accounting Services Associates. Ericksen Krentel CPAs and Consultants, founded in New Orleans, Louisiana in 1960 with offices in New Orleans and Mandeville, believes that serving as the clients’ most trusted adviser is grounded in going beyond the numbers. That includes helping clients achieve their business and personal financial goals by providing innovative and exceptional services in the following areas: audit and assurance services, tax compliance and planning, outsourced CFO services and business valuations for a variety of industries; employee benefit plan audits; fraud and forensic accounting; business planning; IT consulting; wealth management; loss calculations; and estate planning. The key to accurately evaluating a loss claim is the ability to obtain complete financial information regarding the claimant/insured’s occupation or business. The mutual goals of the insured and the insurer are to mitigate loss, return to normal operations as quickly as possible and resolve the claim in a reasonable period of time. 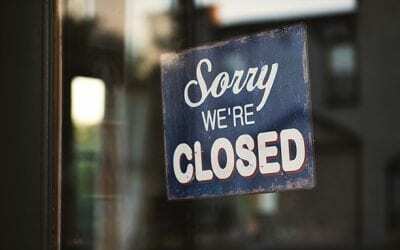 All this should be done while maintaining positive professional relationships with all who are involved. 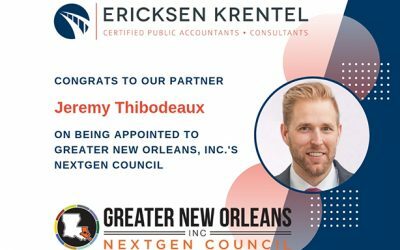 Jeremy Thibodeaux CPA, CFE has been appointed to Greater New Orleans, Inc.’s NextGen Council, an initiative of GNO, Inc. designed to introduce new leadership into the organization, with the intent of benefiting from the energy and ideas of emerging regional leaders and developing leaders for the region.